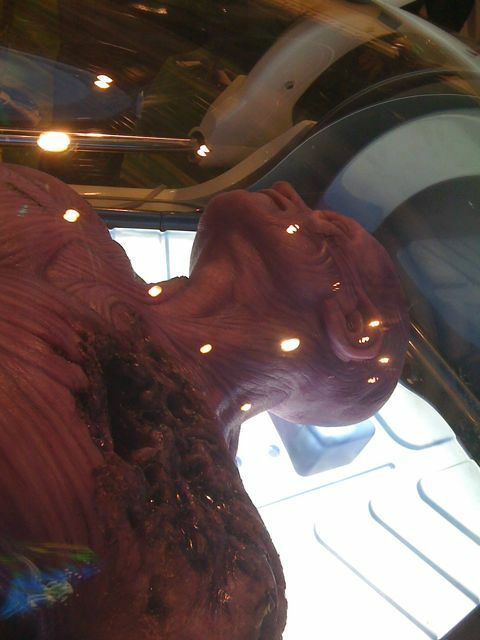 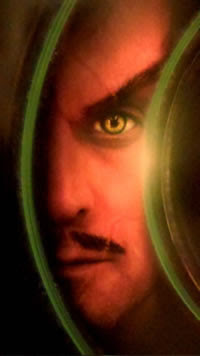 First up is Abin Sur from Martin Campbell's Green Lantern, the red-faced alien who offers up his ring to the Green Lantern known as Hal Jordan. 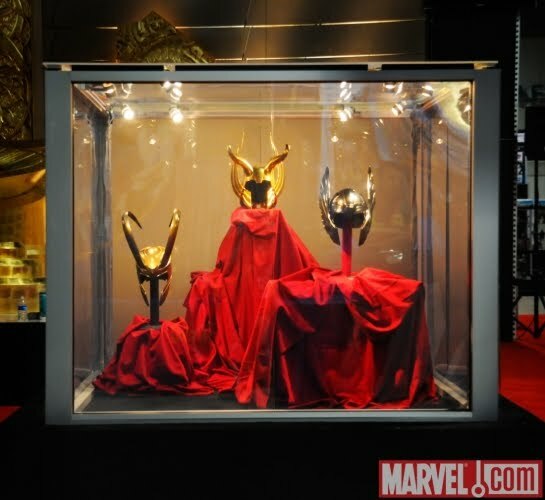 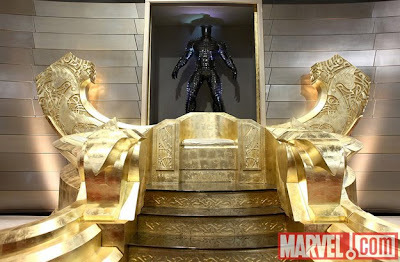 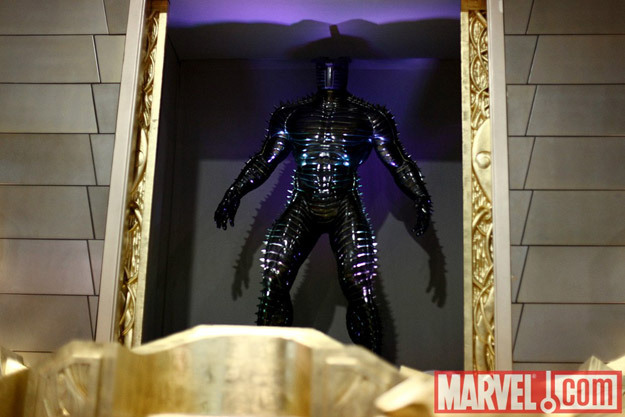 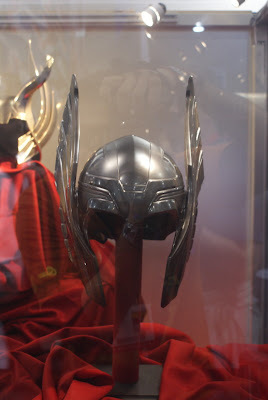 Next up is pictures of Hall of Asgard throne room & Mjolnir from Kenneth Branagh's 'Thor'. 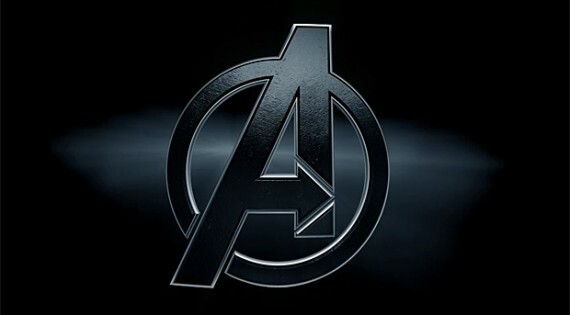 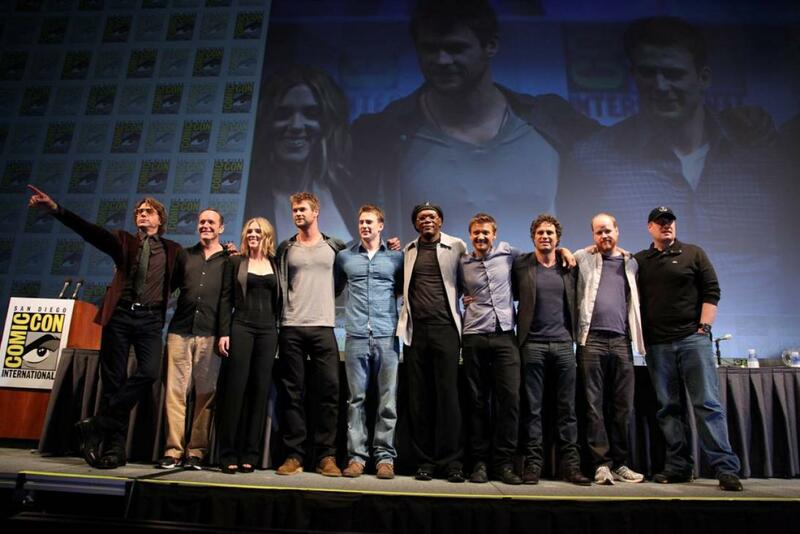 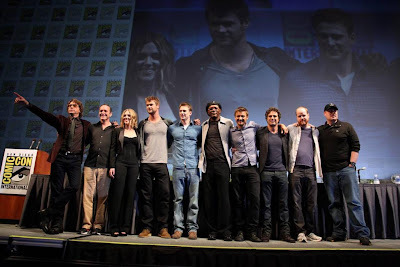 Update: 'The Avengers' assemble at Comic-Con, also The Avengers site has gone live. 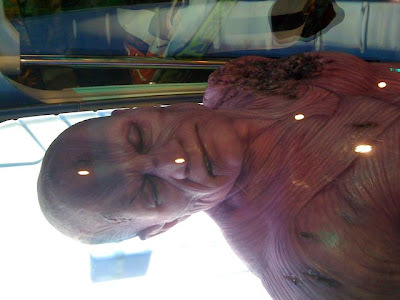 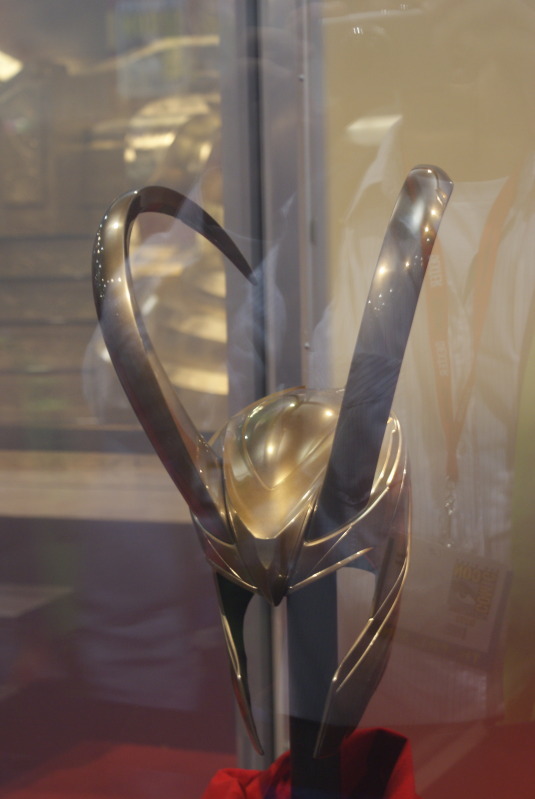 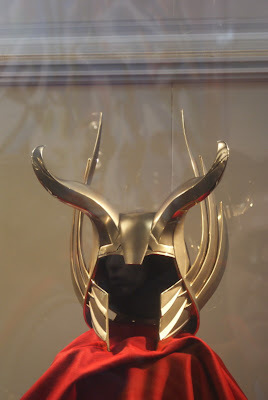 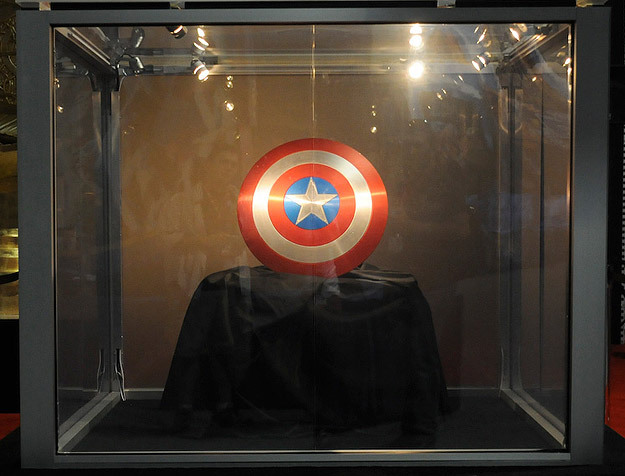 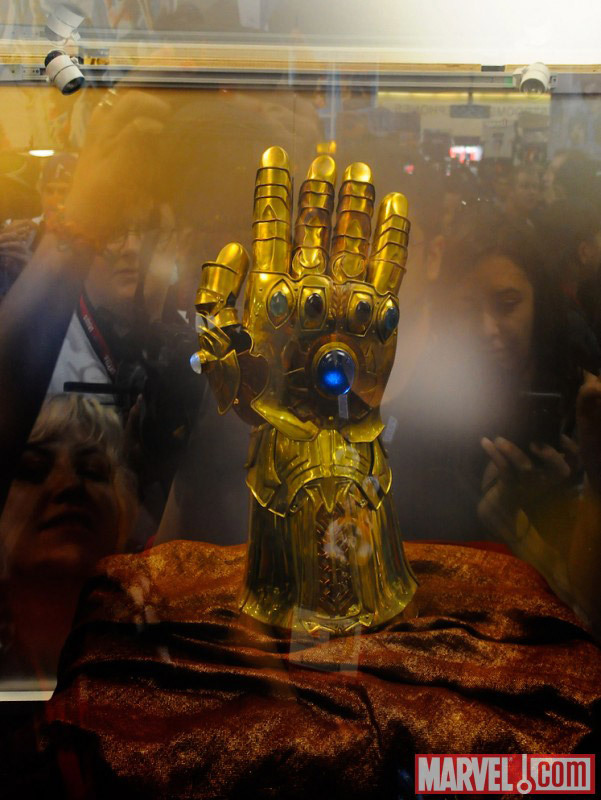 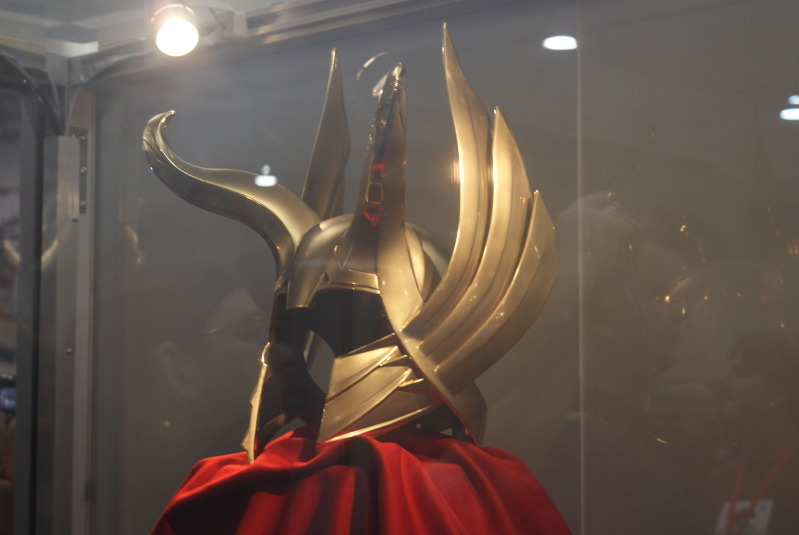 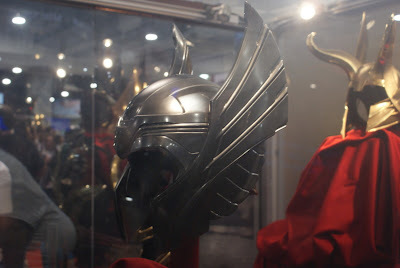 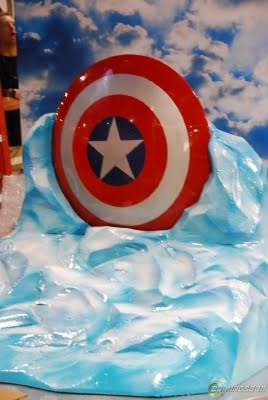 Update: Captain America's shield and the Infinity Gauntlet from Thor were also revealed at comic-con.